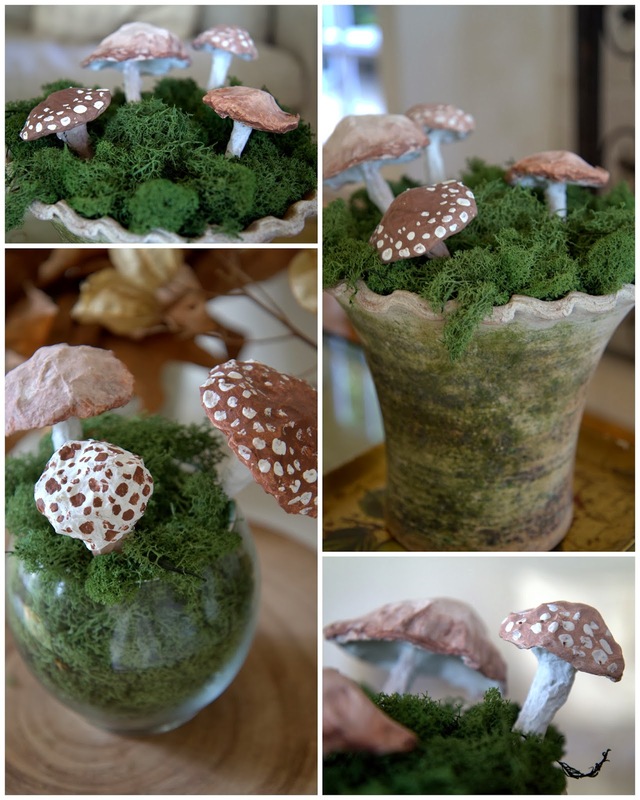 last post, Paper Mache Mushrooms, here are DIY step-by-step directions to make your own! 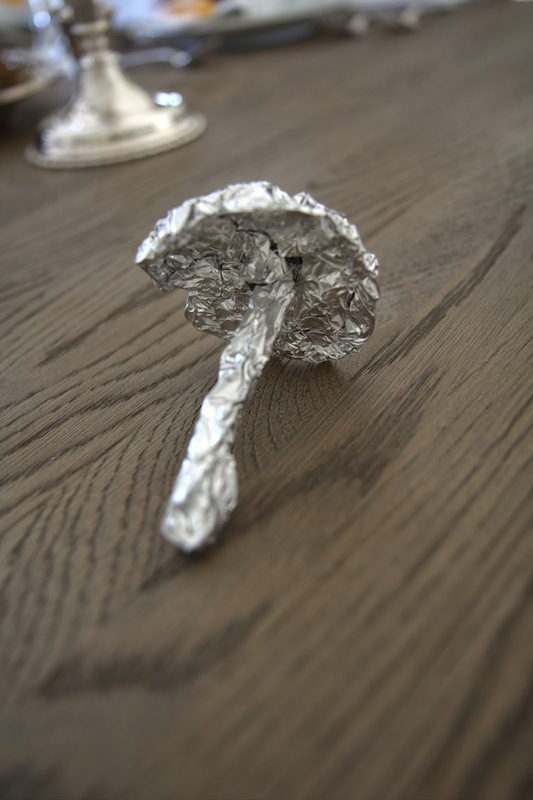 To make each mushroom, put one toothpick in the corner of a large rectangle of foil (as pictured above). 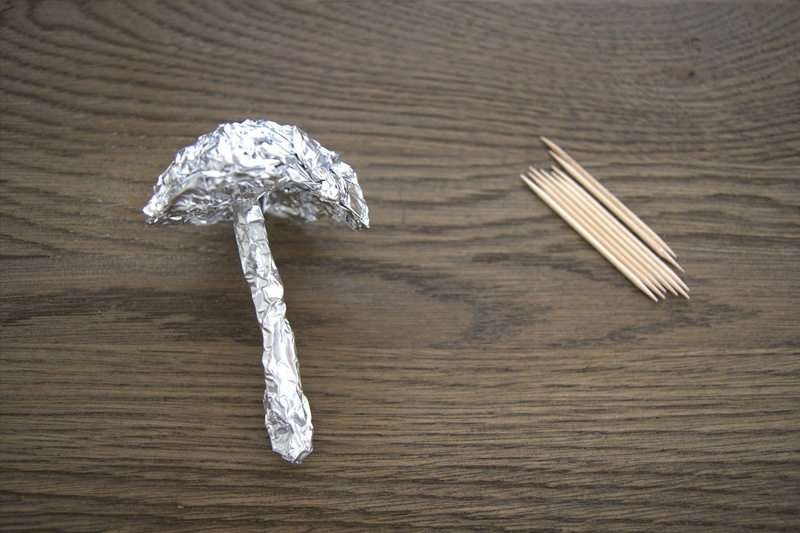 The toothpick will give stability to the mushroom's stem. 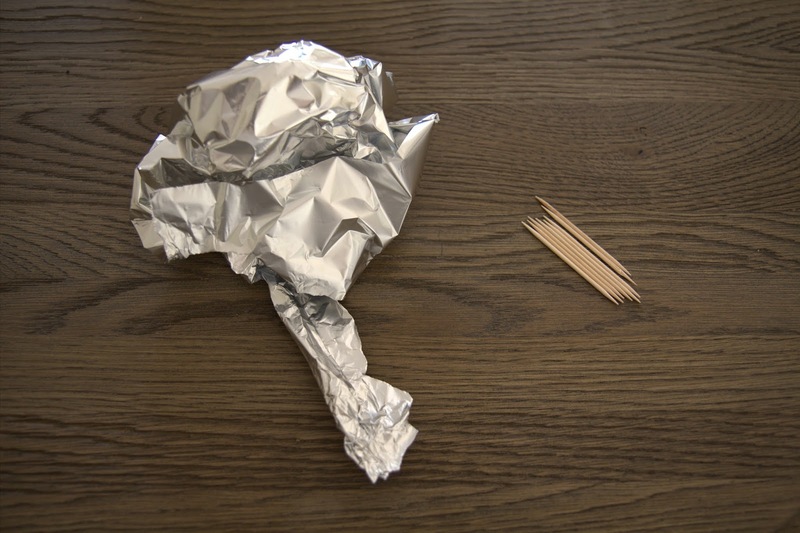 Wrap the corner of the foil around the toothpick. 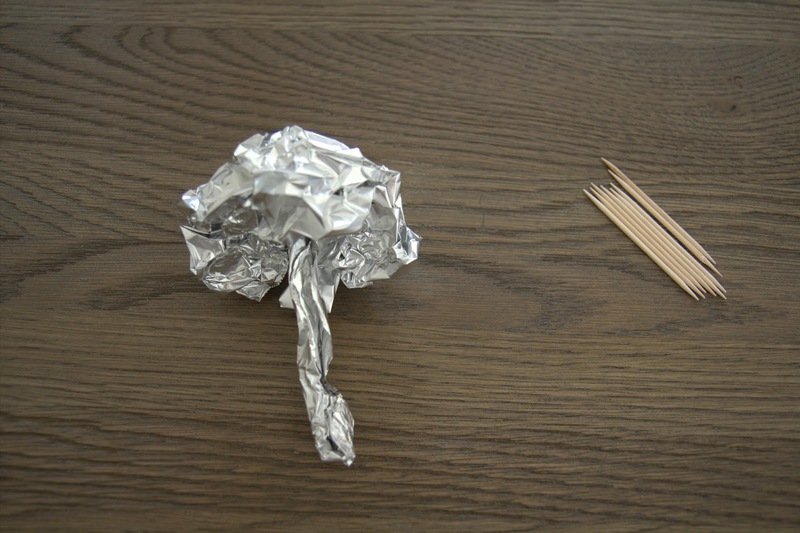 When the foil has been rolled around the toothpick 3-4 times, rip a (somewhat) parallel edge in the foil next to the toothpick. 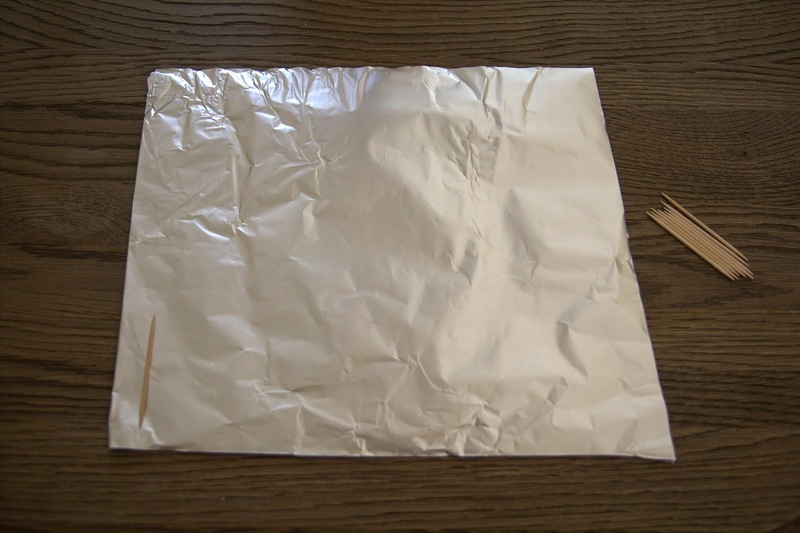 Begin folding all the other 3 corners of the foil into each other, forming a ball above the toothpick. 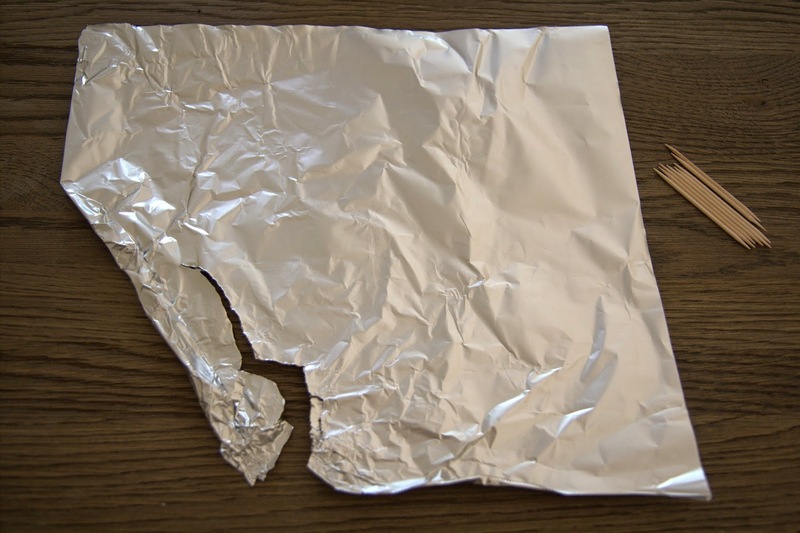 The foil is beginning to take shape. 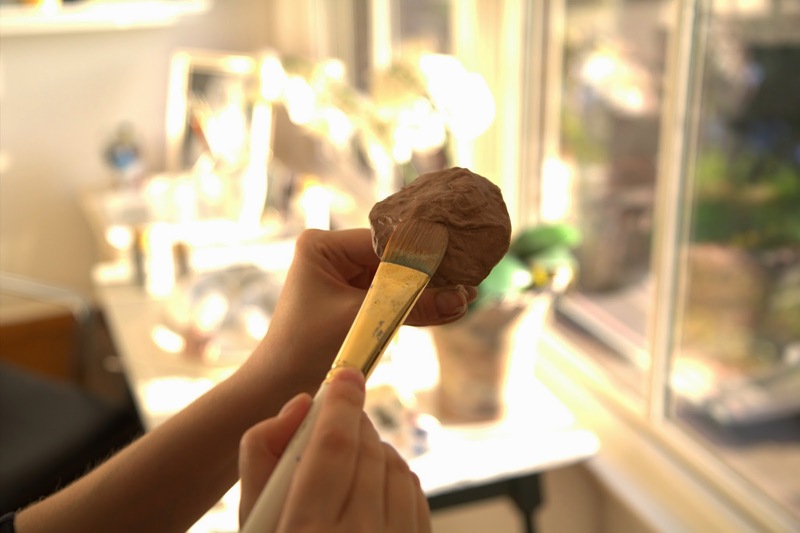 Keep pressing and sculpting the foil into the mushroom shape you desire. I made several button-top mushrooms and several umbrella-top mushrooms. Let's make this one into an umbrella-top mushroom. 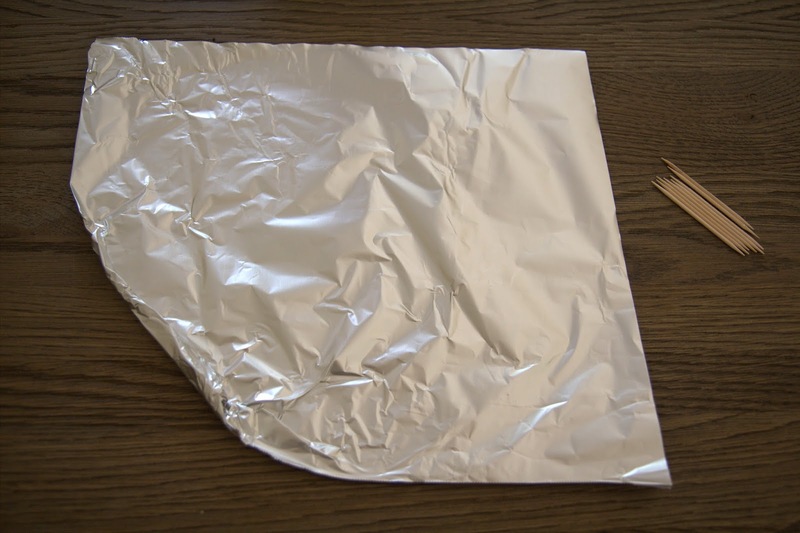 The more solid the foil is, the easier the paper mache will adhere to the foil. In a large bowl, mix the 2 cups flour, 2 cups water, and one tablespoon of table salt. Stir until the mixture turns into a gooey paste. Rip newspaper into thin strips. 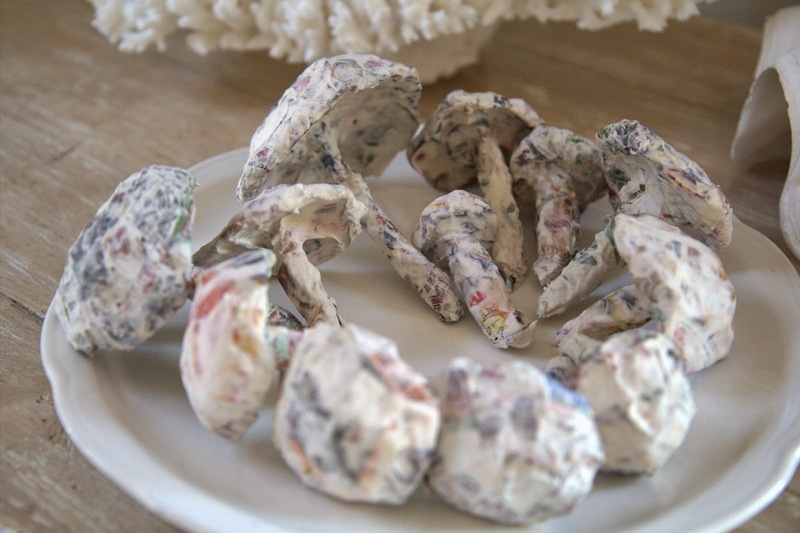 Dip each newspaper strip into the mixture on both sides. 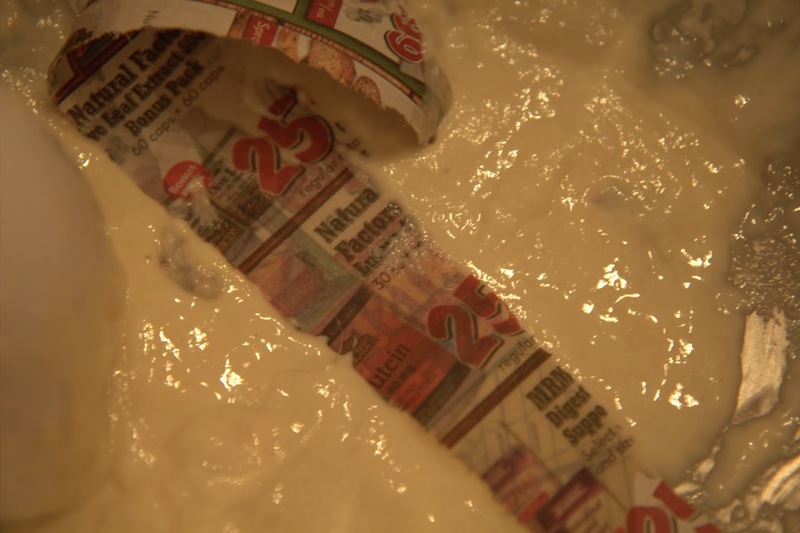 Use two fingers to remove the excess of the paste from the newspaper strip. 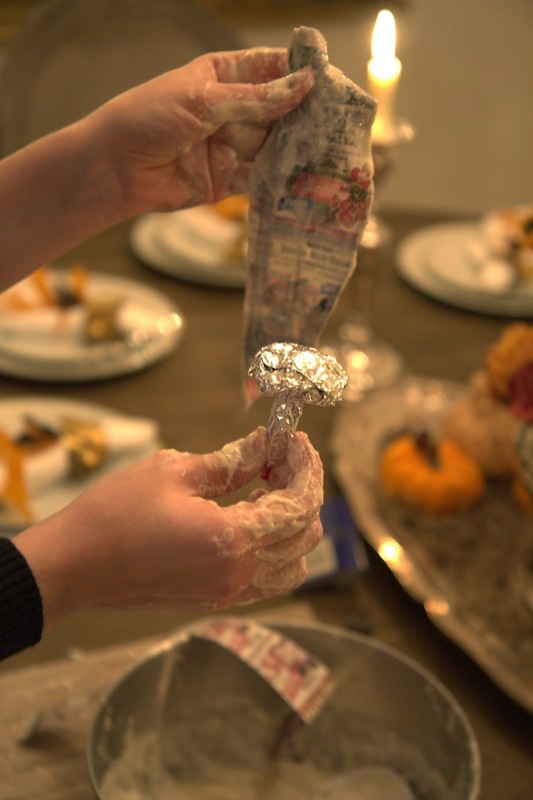 Cover each foil mushroom with strips of the gooey newspaper, conforming them to the foil. About two to three strips should cover the mushroom. 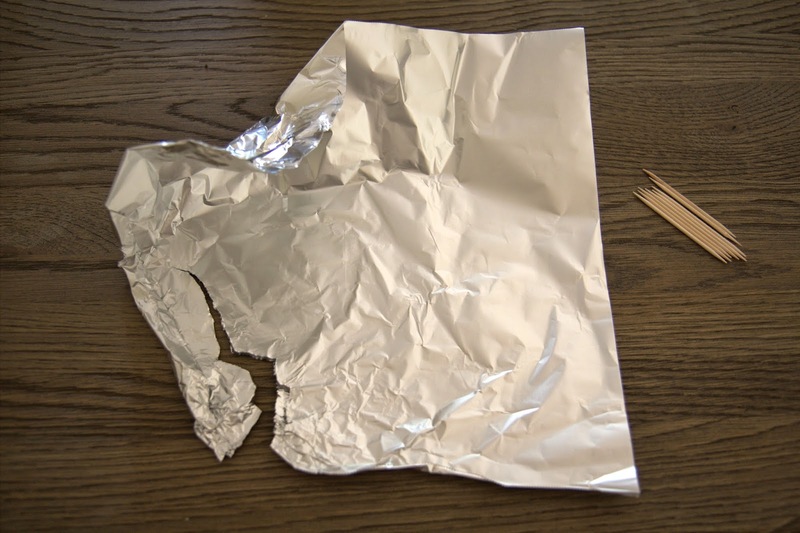 Make sure there is no foil showing through. On a large plate, let the mushrooms dry overnight. If they still feel a little wet, put them outside to dry in the sun. 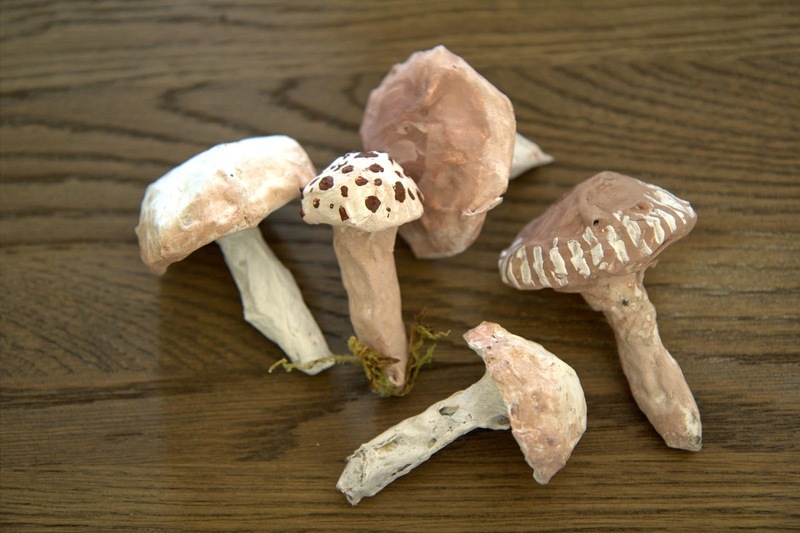 When your mushrooms are completely dry, paint them from top to stem with white acrylic paint. This will ensure that no newspaper ink shows through. 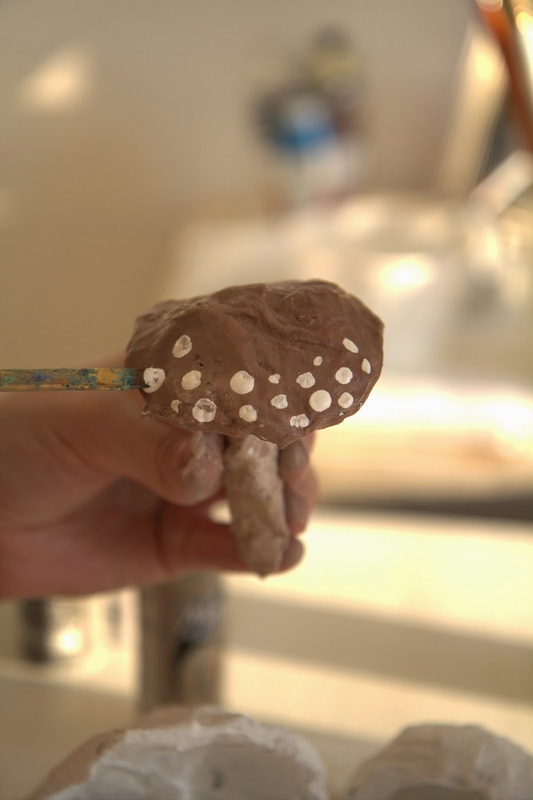 Using your desired colors of acrylic paint, paint the tops of your mushrooms. 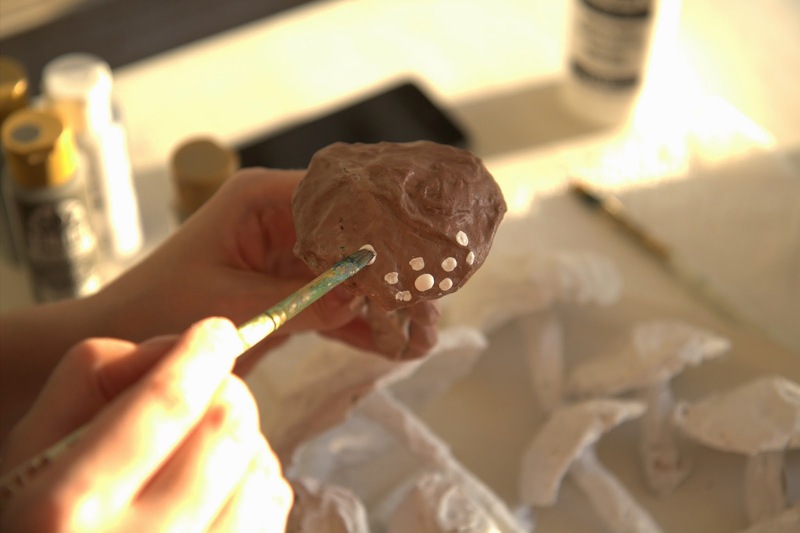 I used brown and white paint to keep a more natural color scheme. Yellows, reds, and greens would work very well, too. 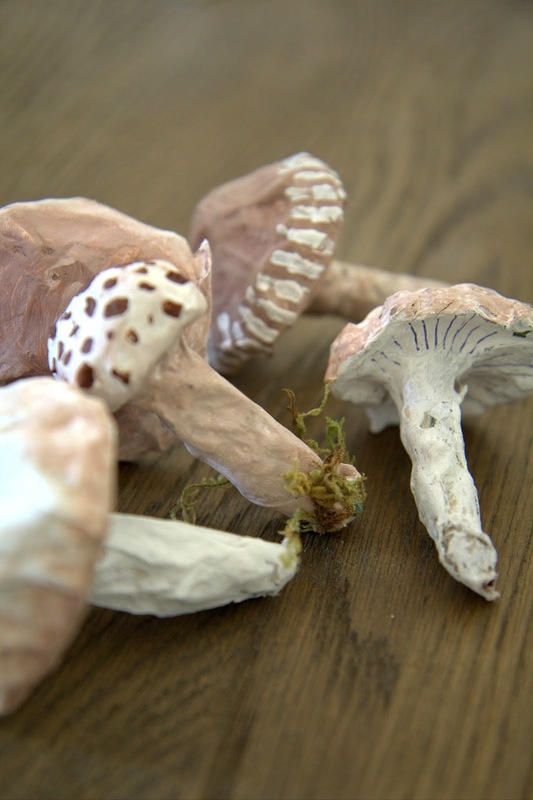 For a more realistic looking mushroom, keep the stem and underside a lighter color than the top. 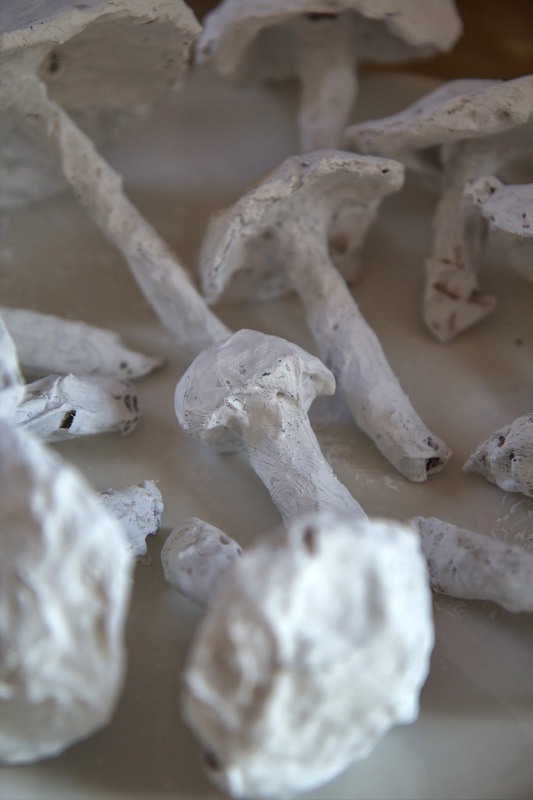 For most of my mushrooms, I left the white acrylic paint on the stems. 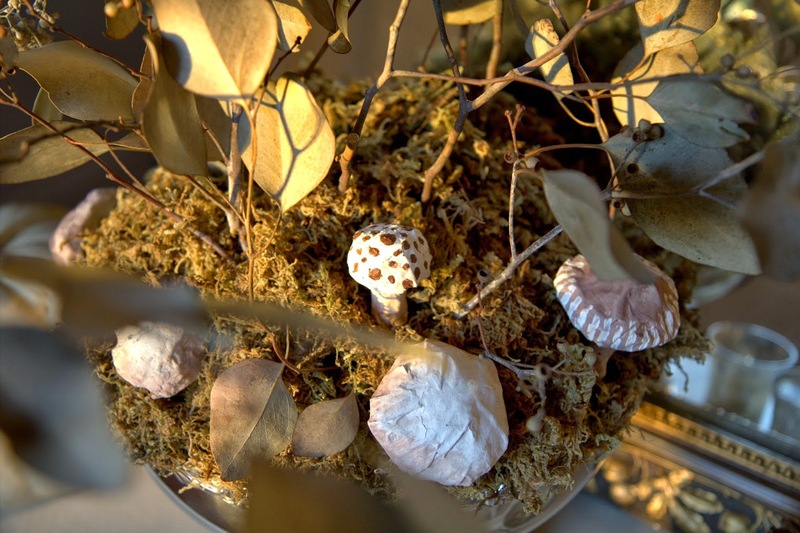 Design your mushroom! Does it have dots? Lines? Does it have a gradient of color? This one will have dots around the edges. 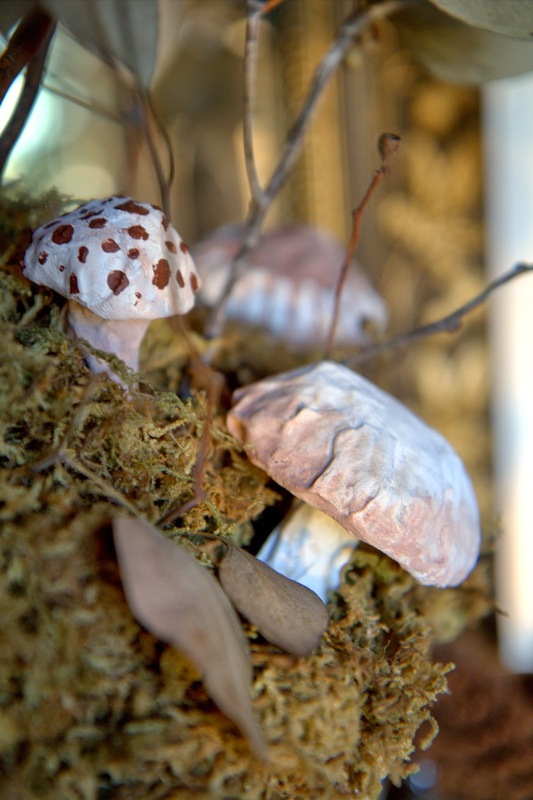 A few of my mushrooms after they have been painted. They're ready to be put into moss! Some of them have underside lines where the mushrooms gills would be. 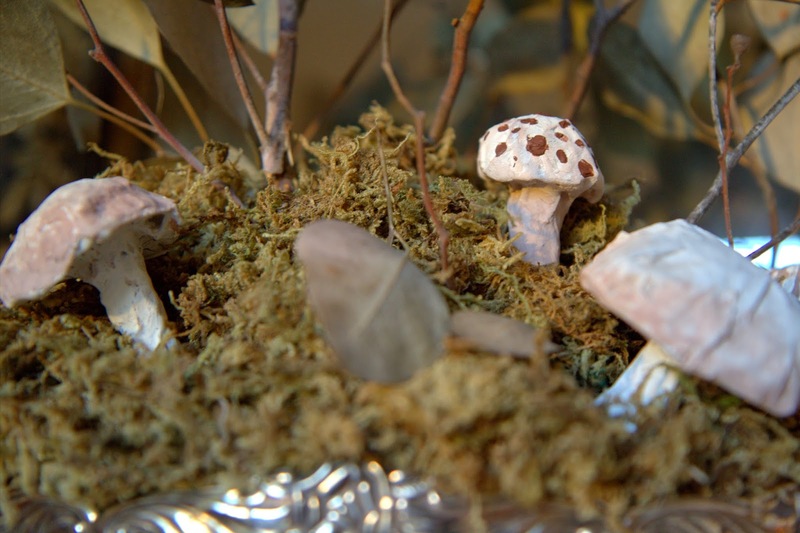 Put the mushrooms into an arrangement, and surround them with moss! 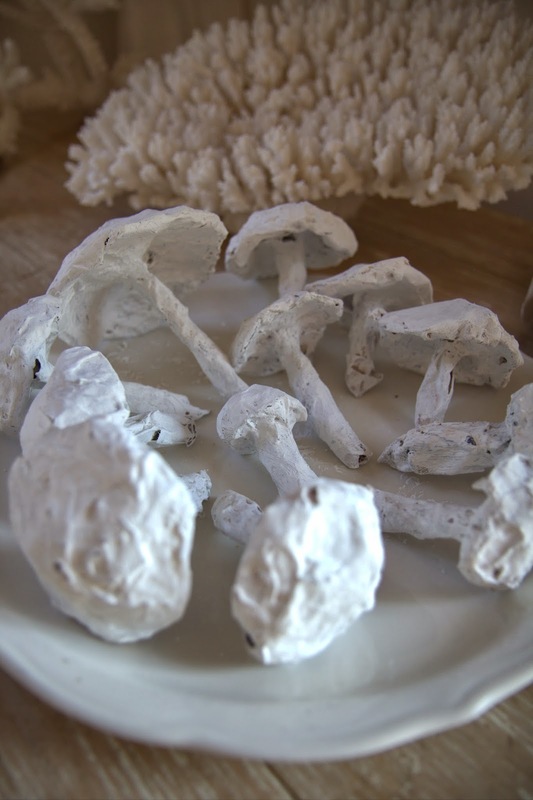 These mushrooms will last forever, so you can enjoy them for years to come. Here, I've placed them in a leaf bouquet on my foyer table. 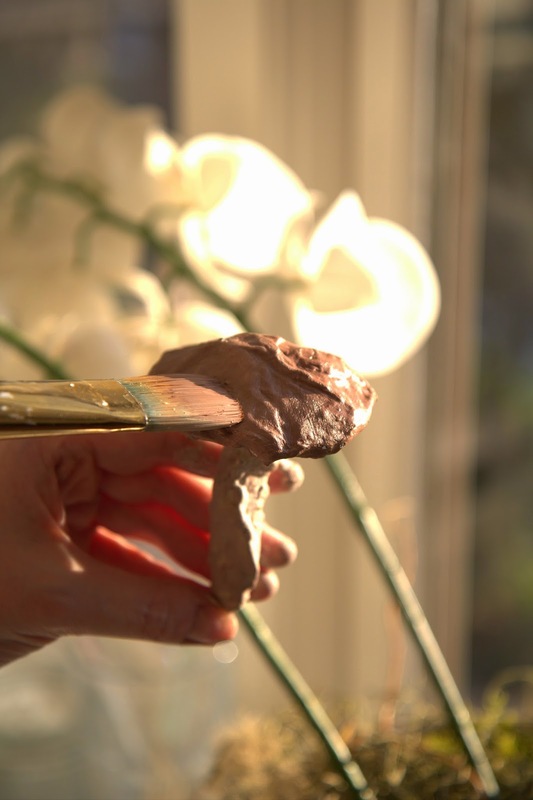 See recent post, Autumn Leaf Arrangements, to make your own bouquet. 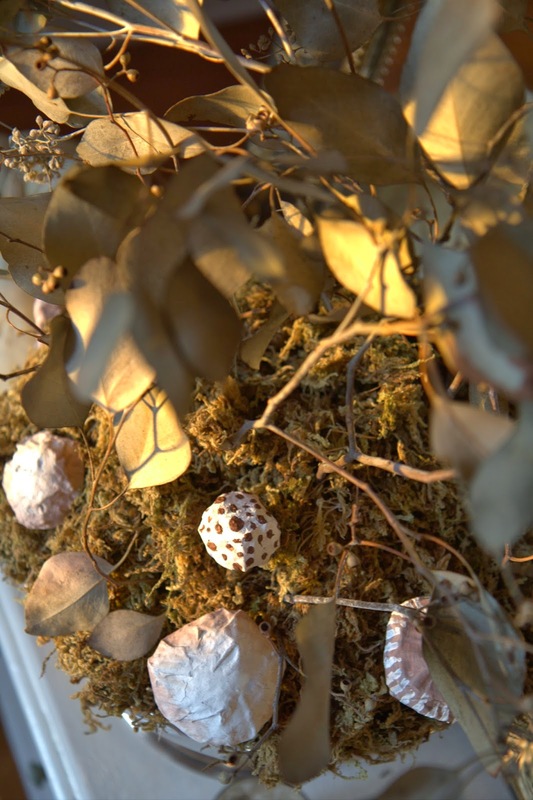 These little gems are perfect for autumnal months and Thanksgiving decor. Hope you enjoy!